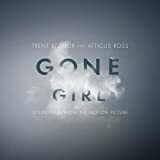 Accueil Bande originale 20th Century Fox - Bande originale La bande originale de “Gone girl”. Sortie : 30 septembre 2014. What Have We Done To Each Other ? – 2:30. Just Like You – 4:11. Empty Places (Reprise) – 2:20. The Way He Looks At Me – 3:27. Sugar Storm (Reprise) – 0:41. What Will We Do ? – 3:05.